Working hard setting up experiments, getting the expected results, and publishing your work in great journals are all key goals for a researcher; however communicating your research outside academia it is also a professionally valuable experience. 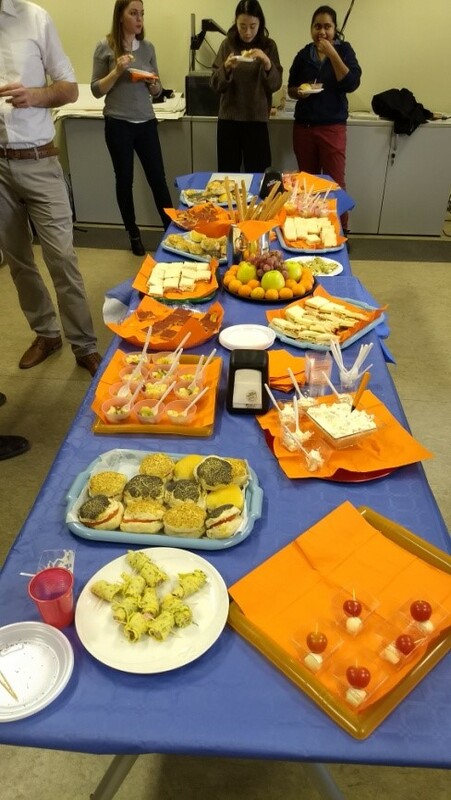 On the 6th of July I had the chance to present my research and learn more about the great work that they do at Cambridge Environmental Assessments (CEA). CEA is located in the picturesque countryside location of Boxworth, in Cambridge. The Ecotoxicology team and Dr Adrian Terry (Head of CEA) were very kind to meet me and discuss my work. I was interested in understanding the implications of my research in the environmental sector, and to gain insight into the roles and responsibilities of different job/pathways outside academia. 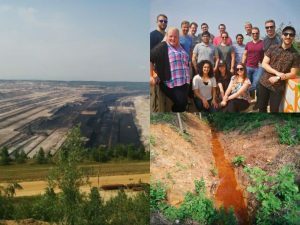 During the last year of my PhD as part of Remediate I have been focused on linking the bioavailability of complex chemical mixtures to toxicity changes, providing multiple lines of evidence to inform risk management decisions at contaminated sites. 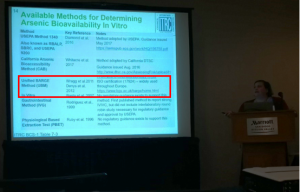 I presented my work on an experimental setup where contaminated soils (collected from former gaswork sites) were treated with amendments (biochar or compost), incubated for 6 months, and their toxicity evaluated through different ecotoxicological assays. The CEA team was very engaged, asked a lot of questions, and provided valuable feedback on my work. During the day, Dr Terry introduced me to the CEA team – which includes experts in environmental fate and behaviour, exposure and spatial modelling, ecotoxicology and toxicology- and explained the overall aim and objectives of the company. 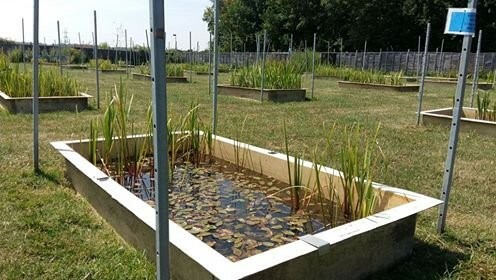 Dr Hanna Schuster presented the current work on over 200 outdoor aquatic mesocosms (flat-bottomed or sloped) to simulate different edge-of-field environments with a focus on plants and invertebrates (e.g. 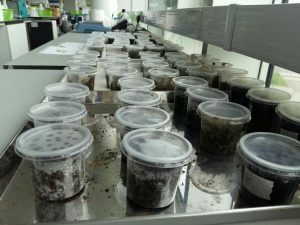 in-house identification of freshwater phytoplankton, periphyton, macrophytes, zooplankton, and macroinvertebrates). Hanna also guided me through the facility to visit their mesocosms setup for bespoke higher-tier aquatic studies. Dr Nadine Taylor presented a range of different work, including the very interesting research projects she developed during her PhD and postdoc using molecular high throughput techniques and physiological endpoints to determine ecosystem changes to environmental stress. 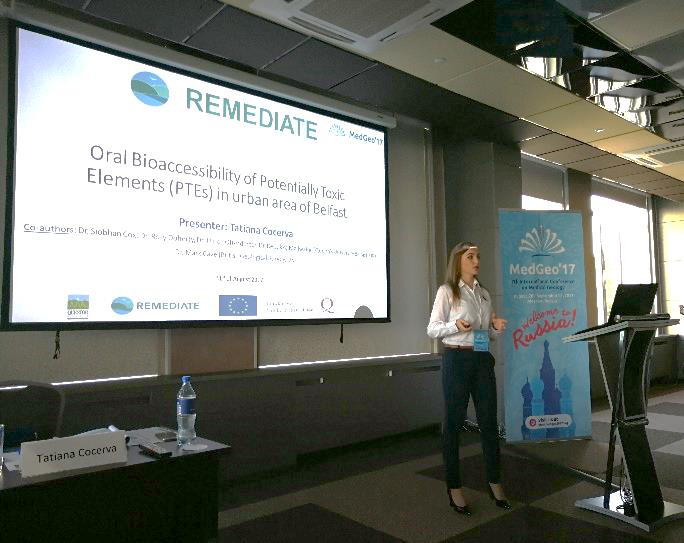 I would like to express my sincere thanks to the Remediate ITN for providing funding for my training and networking opportunities, and to Ecotoxicology team and Adrian Terry for hosting me at CEA and appreciating my research work. It was a great day for me to network and discuss my work with experts in the field, and hopefully future collaborations will arise from this meeting. What are you going to do after your PhD? Are you thinking of industrial positions or are you in academia for the long haul? When are you planning to defend your thesis? Numerical models describing flow and transport of chemically active species in porous media can provide a powerful tool for analysing a wide variety of problems. For example, reactive transport models are used to predict the rate of migration of a contaminant plume resulting from heavy metal mobilization. To elaborate our understanding of contaminant transport we discussed continuum hypothesis, classical conservation equations of mass and energy, and introducing simplifications of the real physical systems to the model. In all engineering problems, it will always be necessary to calibrate a model description to field data before making predictions. Evaluating field scale heterogeneities and variables necessitates close collaboration between modelling, experiments, and field observations. From submitting progress reports to writing scientific articles, from attending conferences and networking events to mentoring masters students, there are numerous tasks entailed in our PhD programme that lead to the development of skills that are required both for industrial and academic jobs. We should pay heed to these competencies and start preparing for the job we want. In this session we focused on how to highlight our skills for the position we want in any sector. 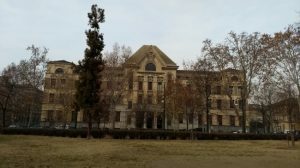 How to transition from academia to industry? What are good job search websites for job openings and possibilities? What mistakes should be avoided in our curriculum vitae? We learned that if we have our eyes set on a big, long term goal, the road ahead may not be straight. Success career trajectories can have lots of zigzagging. We need to understand that there is more than just one model and more than just one path to reach a destination. So, I made it. Yeeeyyy! Years of hard work, culminating into one day. A PhD defence is a serious ceremony. In this session we learned the tricks and tips for defending our PhD thesis. We gained insights on the process and purpose of the viva, considered a range of viva questions and identified effective viva preparation strategies. We were also given the chance to look at mock viva questions in groups. A well written thesis along with presentation skills is king to a great viva experience. Nailing an excellent presentation of our work can be done with simple slides, timing, and flow in delivery. On the defence day you are the expert in the room. Trust your brain. This is your day. No one in the world has recently spent the same length of time understanding this specific topic. To understand the impacts on groundwater due to coal mining, we visited the Hambach site. This open mining site is located in heart of a lignite mining area in North Rhine Westphalia. We saw the drainage water from the mining activities and also visited the extraction site. Everything at the mine appeared to be in a giant scale. We viewed the machines extracting coal and moving around sand and dirt. Everything from mine pit to machines transcended us to the world of science fiction movies. In today’s cut-throat world of grants and research proposals, being an Early Career Researcher can feel daunting. During the session on grant applications, we learned the reasons behind writing grant applications. The writing procedure for grants should include simple language, balance between problems identified and solutions proposed, tell a story based on facts and visuals, and relate it to the goals of the funding organization. The best grant proposals are simple, straightforward, and easily understood. 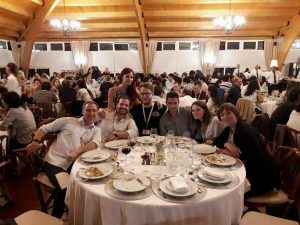 The summer school was such a great experience for every one of us involved, as not only was there time for lessons but also for enjoying the summer! AESH 2018 – Let’s make REMEDIATE a winner again! A new challenge? Visiting a new continent? A research conference? Networking? AN AWARD?! YES! All these are for me! 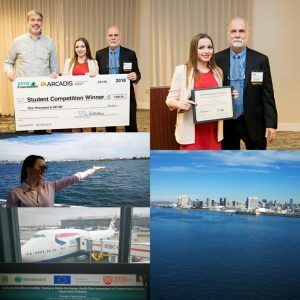 These were the main questions and desires in my mind when I decided to attend the 28th Annual International Conference on Soil, Water, Energy, and Air that took place on March 19-22, 2018 in San Diego, California. This great experience brought me an award: “1st Place for the Best Student Poster Presentation” and a check of $1000! 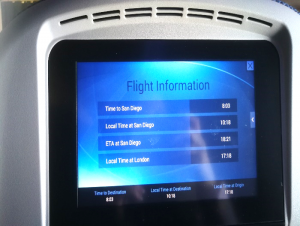 Embarking on the longest flight I’ve ever flown with a valid USA visa in my passport and full of excitement, I started my great journey towards San Diego! 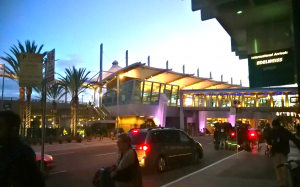 When I left London, it was cold and snowing, but once arrived in San Diego, I realised that I was the only person at the airport wearing a winter coat! Yeah, that was funny, but it was so great to feel the outside temperature of 20⁰C and a warm wind blowing through my hair, a feeling that I have not had since my last summer holiday. I had registered to attend a workshop the day before the conference on the Bioavailability of Contaminants in Soil. As my PhD research is directly related to this topic, I was curious to learn how bioavailability is applied in the USA compared to the United Kingdom (UK). The audience comprised environmental professionals working in academia, environmental protection agencies and consultancy. The workshop was very interesting and interactive; the audience was engaged in solving different problems and answering the questions posed by the presenters. 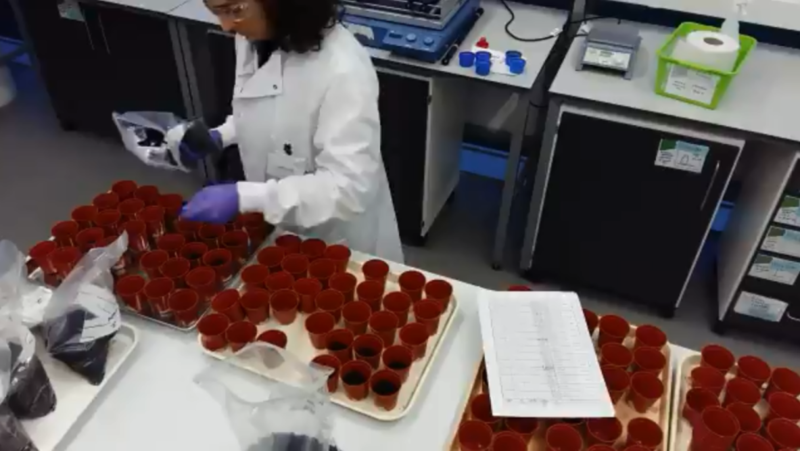 It represented a great opportunity for me to share ideas and even my experience working with the European BARGE Unified Bioaccessibility Method (UBM) (https://www.bgs.ac.uk/barge/ubm.html). This international conference is organised each year by the AEHS Foundation on the West Coast of the USA. 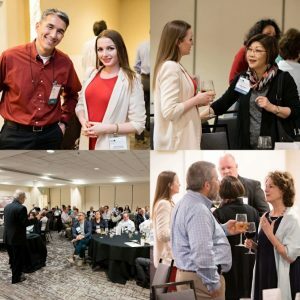 Its main purpose is to gather together the environmental science community to share ideas, outcomes, and recommendations between experts working in research, industry, advanced technologies, and environmental regulatory programs. For three days, I attended interesting presentations on different case studies dealing with environmental forensics, pollution, and cutting-edge technology applied to remediate contaminated sites. 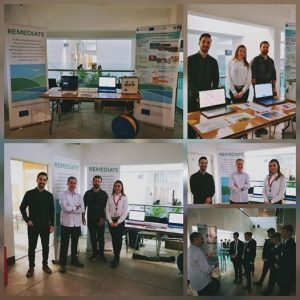 Outside the conference rooms, there were exhibitions on applied technology for diverse environmental issues. 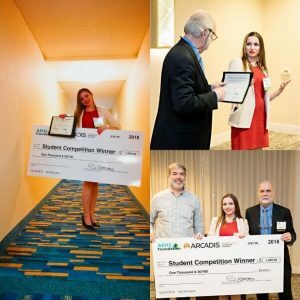 I had registered to present my research work in the poster session on Human Health Risk Assessment and I chose the option to be included in the student competition where generous awards were offered: $1000 for 1st place, and $500 for the 2nd place. Now all the challenges were set, so let’s bring my research work to the top! During the poster session, I was so pleased with the number of people coming to my poster asking different questions. The audience was diverse, from PhD students to professors, researchers, and professionals working in industry. Moreover, there was a Scientific Advisory Board formed of 15 judges from different disciplines and wide expertise dealing with environmental issues who assessed all the posters. The evaluation factors developed by the committee included the following: Topic Selection/Innovation, Research and Analysis Techniques Utilised, Poster Organization and Structure, Quality of Presentation, Materials and Communication of Poster Content. As usual, I shared my research results, experiences working in REMEDIATE project, and my great passion for my work with everyone. I was already so pleased for the amazing experience I had at this conference, networking opportunities, feedback received on my work and the wonderful San Diego city, so I could say that my “mission was complete”! 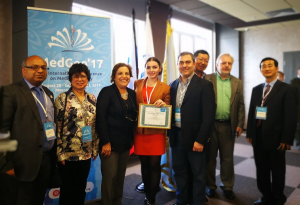 But when the winners were announced and I heard that Tatiana Cocerva from Queen’s University Belfast was the WINNER of the 1st place award, I could say that this represented an unforgettable moment in my life! I would like to express my sincere thanks to the organisers of the conference, the AEHS Foundation and the Scientific Advisory Board for appreciating my research work. My deepest gratitude goes as well to my supervisors and collaborative partners who contributed over the years to undertake excellent research work that has been endorsed all over the world! I WILL BE BACK very soon! Together with four of my colleagues from the University of Duisburg-Essen, I’ve spent the last week at the fair in Munich. The reason for traveling 600 km to the south of Germany was to participate in Analytica 2018 – a trade fair and conference with the overall theme of analytical chemistry. 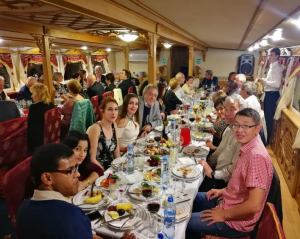 Overwhelmed by both the academic and commercial side of this event, I decided to update my blog and introduce the readers to some novel developments in the world of analytical chemistry. A fair has been organized every two years in Munich since the late ‘60s, with the aim of helping vendors and developers of analytical instruments get in touch with potential users of their measuring equipment. This year more than 1100 exhibitors from almost 50 countries presented their products to more than 35000 visitors at the fair. Exhibitors and visitors came from many different backgrounds – in my three days at the fair I talked with analytical chemists, mechanical engineers, material scientists, IT professionals, even medical doctors. Regardless of the differences in their backgrounds, I was very interested in their needs and expectations when it comes to chemical analysis. Aside from the normal expectations that an analytical chemist like myself hears every day (low detections limits, high precision etc), I was often told that full automatization of the analysis and real-time artificial decision-making during the production process was needed. These ideas require two main ingredients. First is a sample preparation unit capable of performing every lab task one can think of; from reading what’s written on the vial, to changing the syringe or the liner of the gas chromatogram. Second is a computer, or a network of computers capable of deep learning that would analyse gigabytes of analytical data at a time, and combine them together to describe or even control a production process. Seeing how high the bar was set, I was surprised to see that many vendors were successfully coping with these requests set by their customers. Cutting-edge development by industry shown at the fair was complemented successfully at the conference. 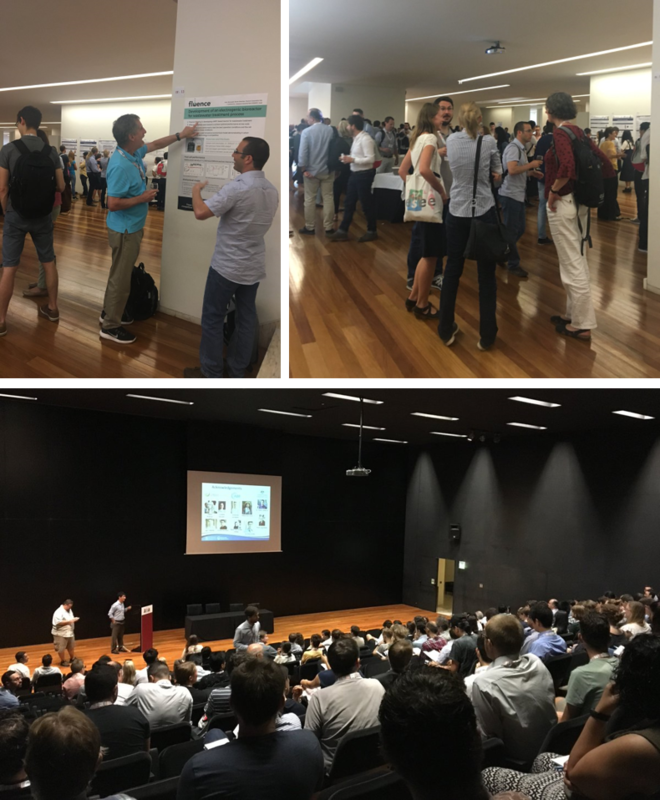 Sessions were organized on many analytical ‘hot topics’, from microplastics, toxicology, biosensors all the way to deep learning and data-mining. One of the sessions that I enjoyed the most was the one named “Analytical Challenges from Implementing Consumer-Oriented Legislation”, in which the chairman and a lot of speakers were involved in the Joint Research Centre (European Commission). Lectures given during this session helped me realize how big a gap there is between research analytical laboratories and legislative bodies, and how desperately we, the citizens of EU, need more bridges over these gaps. I gave my contribution to the overall scientific content of the conference by presenting my poster. Although the poster session itself was at a somewhat isolated location, not really visited by that many people, I still managed to grab the attention of a couple of visitors. 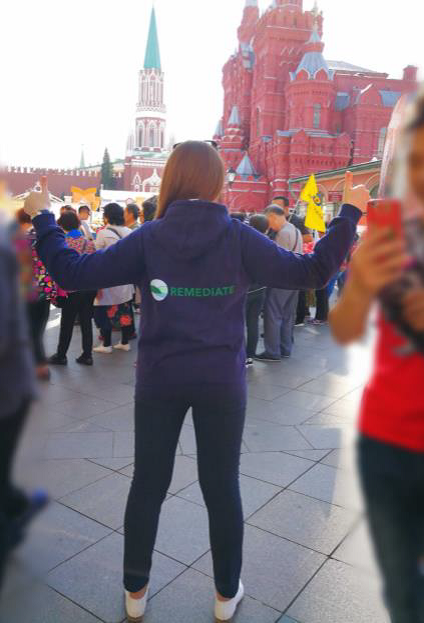 I tried to explain to them not only what is it that I do, but also, how my work fits within the scope of the REMEDIATE project, and what benefits for the overall populations will come as a result. Often after visiting conferences I wonder how much of the presented work is actually applicable in real-life situations. From the academic point of view, one develops the method, often in a very non-elegant and user-unfriendly manner, as long as it allows for the determination of previously uncharacterized events. Industry on the other hand is very focused on creating an intuitive environment for a wide variety of end-users, but often at the expense of performance. 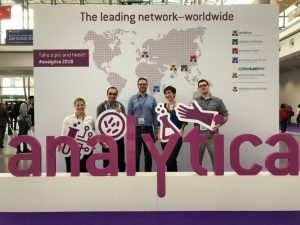 As somebody who is currently working in academia, but would like to switch to the industry soon, Analytica 2018 was one of the rare opportunities to get right in the middle of yin and yang, between academic and commercial sides of analytical chemistry. 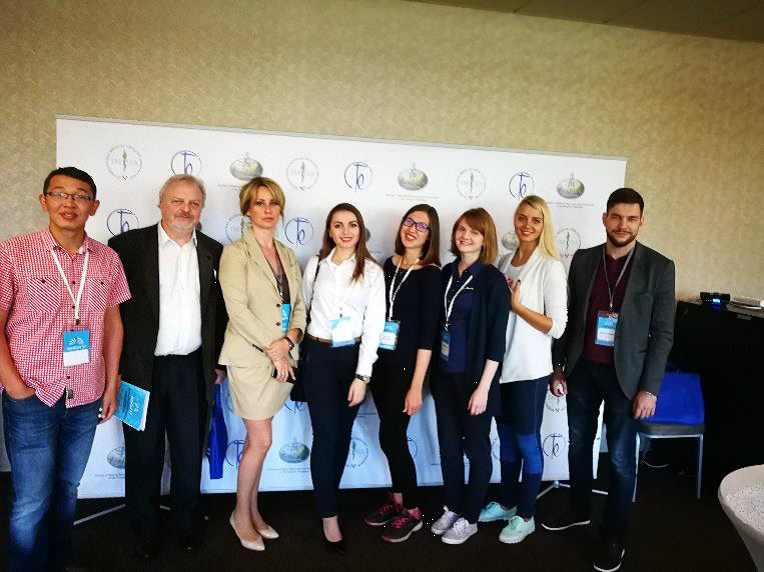 It brought some new ides for the future projects, helped see the general trend in which the analytical chemistry is going, pointed out the current weaknesses and revealed the fields in which work is needed. Certainly, for a student of a final year of a PhD, it was a very valuable experience, that I would like to repeat again. See you in Munich, at Analytica in 2020. Panos Kirmizakis, an ESR at Queen’s University Belfast, travelled with Dr Ulrich Ofterdinger to Sao Paulo for a secondment. Here are his thoughts on what seems like a very valuable experience! 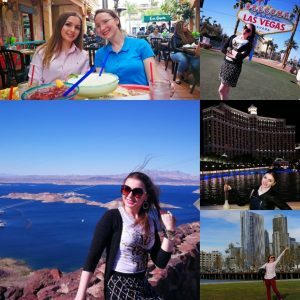 The benefits of an overseas placement are numerous, including the opportunity to travel and develop your career simultaneously. Secondments to participants in our network give us the opportunity to gain skills in techniques and technologies not available to us in our host labs, ensure the multidisciplinary nature of our training, whilst also broadening our outlook and exposing us to other academic and non-academic environments to improve our employability. I completed my first secondment at the Institute of Astronomy, Geophysics and Atmospheric Sciences at the University of Sao Paulo, one of the leading academic and research centers in Brazil. 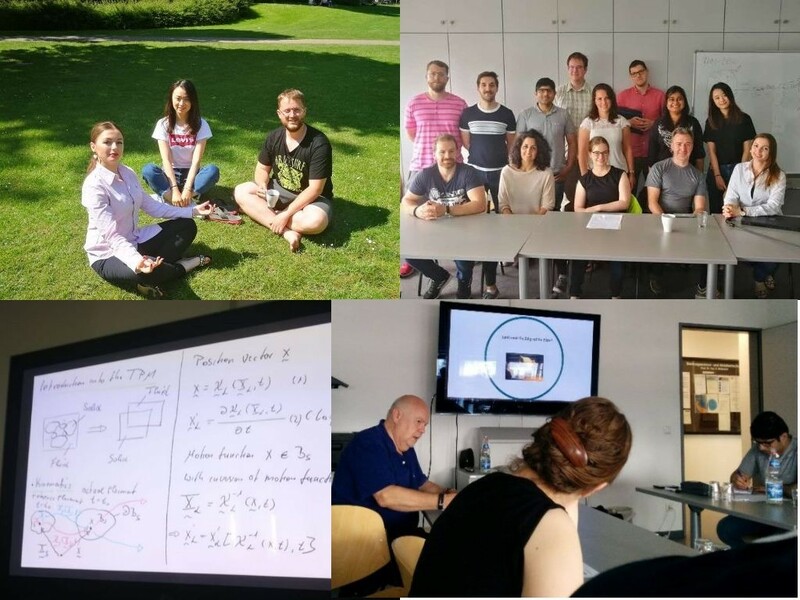 Professor Carlos Alberto Mendonça kindly gave us the opportunity to connect with USP students working in applied geophysics and participating in the Geophysical Summer School on current topics in groundwater geophysics. 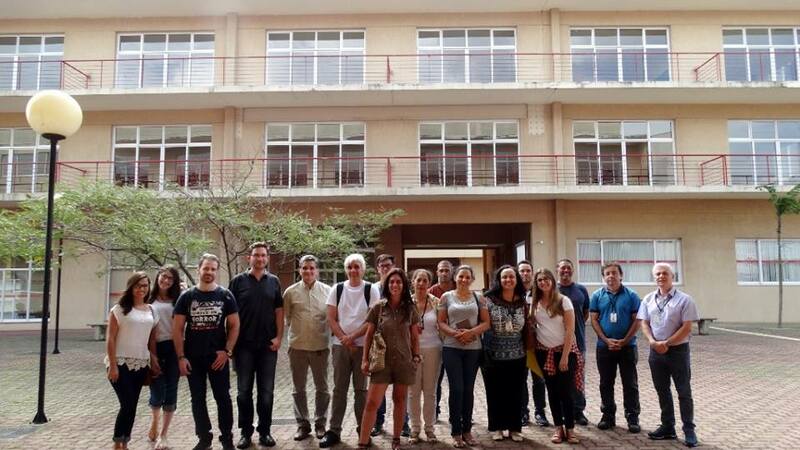 The aim of my secondment, in collaboration with USP, was to start a pilot project with the Department of Environmental Engineering at the Piaget de Suzano Faculty. 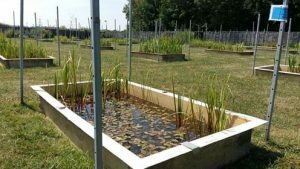 The project that is being developed in Suzano deals with methodologies for remediation of areas contaminated by organic compounds, with risks of contamination of groundwater or of methane generation and escape through soil. Circular experimental cells were installed on campus, with monitoring instrumentation, physical-chemical and biological analyses. As well as that, Dr Ulrich Ofterndinger and I got the chance to present the REMEDIATE project and spoke with Piaget de Suzano students and professors. Sao Paulo is incredibly diverse, boasting large communities from Portugal, Italy, Bolivia, and Japan (Sao Paulo has the world’s largest Japanese population outside of Japan) among many others. This makes Sao Paulo feel like dozens of cities rolled into one, meaning there is always something to suit everyone’s tastes. It follows that Sao Paulo would have a diverse and exciting nightlife. 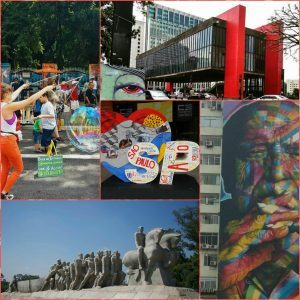 The richness of alternative culture in the city is hard to beat anywhere in the world, and one could go out every weekend for months in Sao Paulo without ever doing the same thing twice. Events take place each week that encapsulate different music styles, cultural scenes, themes and settings: there really is something for everyone. I could not fail to mention the Carnival in Sao Paulo. 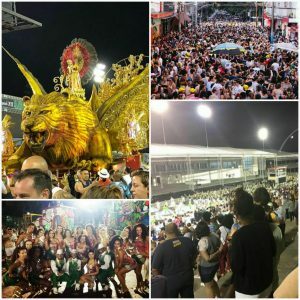 The city’s Carnival may not have the same reputation as Rio but does know how to throw a party during the Carnival. Big events with samba schools, parties on the streets with many blocos or street parades. After 30 fruitful days, I headed back towards Belfast, aware of having gained skills for continuing my work and a consolidated friendship with many people there. 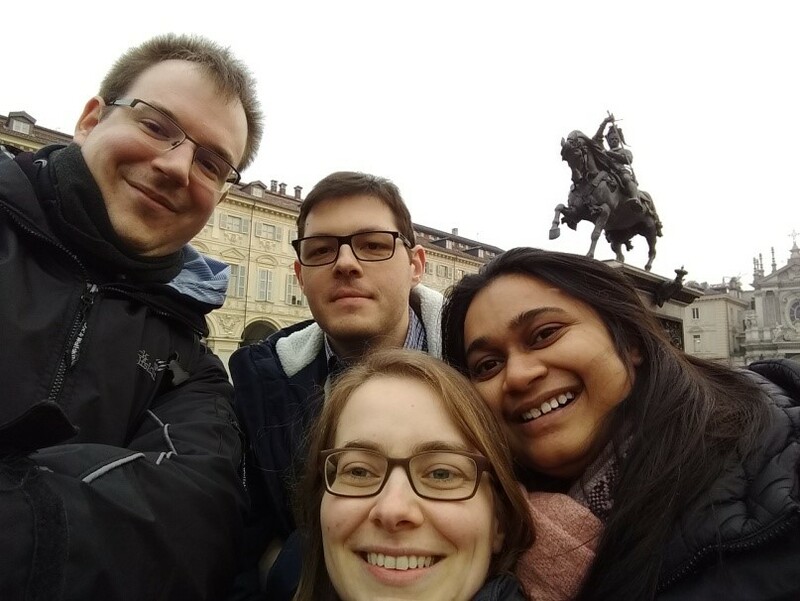 Remediate welcomes a new ESR to the project: Matthias Metzger is working at DCU, and his first impressions of us were formed at the network meeting in Turin! 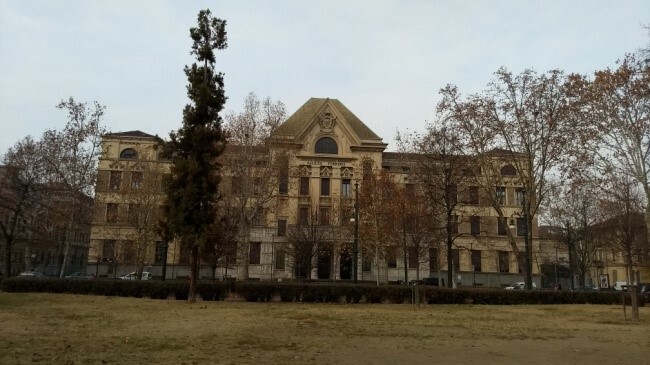 After the warm welcome I received via Whatsapp and Twitter, I really looked forward to the Remediate group meeting on the 23rd and 24th November in Turin, Italy. I joined up with Coren and Peter on the flight from Dublin to Milan and we shared a rental car to Turin. 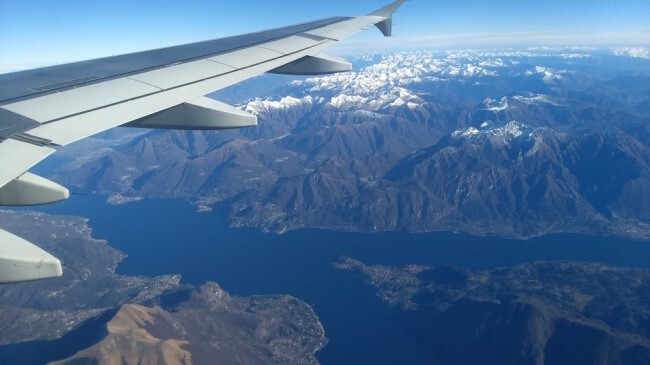 Shortly after arriving in Milan, we noticed the smog that engulfed the city and most of the countryside. The locals told us that it was becoming a real problem and that they were hoping for strong rain and winds to clear the sky once again. 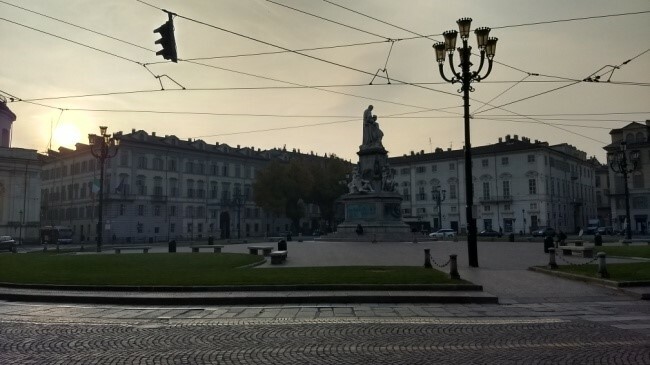 Turin itself is a lovely city with lots of very old culture, architecture and history. It was also much less crowded than expected and had a brilliant public transportation system that could get you anywhere for just €1.50. Typically German, I arrived too early for the meeting, but soon met up with all the other ESRs and supervisors. It was great to finally meet everyone whom I only knew by Whatsapp or email. The presentations were very interesting and it was great to see so many people of different cultures and backgrounds working together towards a common goal. I also gained a bit of inspiration for my own project and hope to be working closely with some of the other ESRs in the near future. On the second day of the meeting we had the opportunity to meet some of the people from SMART GROUND and discuss possible ways of improving our respective work or even working together. All of us were eternally grateful to Giovanna for organising the delicious group dinner and the lovely tour of the city, with the hot chocolate coffee at the end. 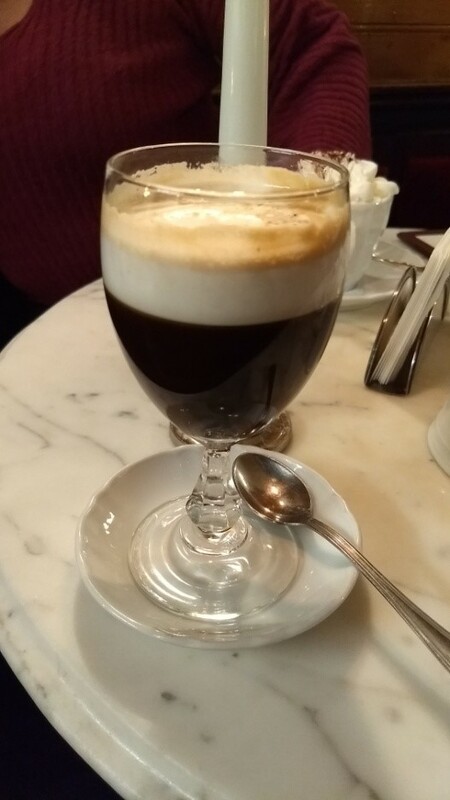 Turin is a place to remember and revisit. 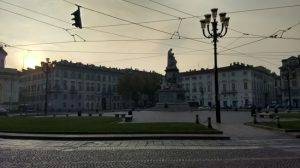 To get the most of our trip to Italy, Peter, Coren and I took an extra day to visit Acqui Terme, to the south east of Turin. It is a nice little town with the ca. 75 °C hot spring “Fontana della Bollente” and a lovely restaurant where we had an unforgettable Lunch. All in all it was a great experience and I look forward to the next meeting in Germany. Hopefully I’ll be able to show the group some of the great things about my home country as well. 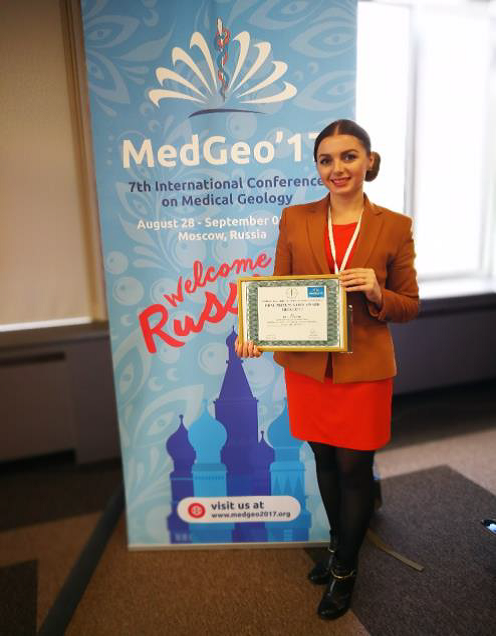 This year I had the great opportunity to attend the 7th International Conference on Medical Geology, held in Moscow, Russia, where I won an award. During this time, I realised one golden rule: science is felt and understood in the same way all over the world and it doesn’t have any geographical or political borders. What a great lesson learned! Before embarking on my journey to Moscow, I received the news that I had been awarded a student travel grant from the International Medical Geological Association (IMGA) and I’m very grateful for this award. 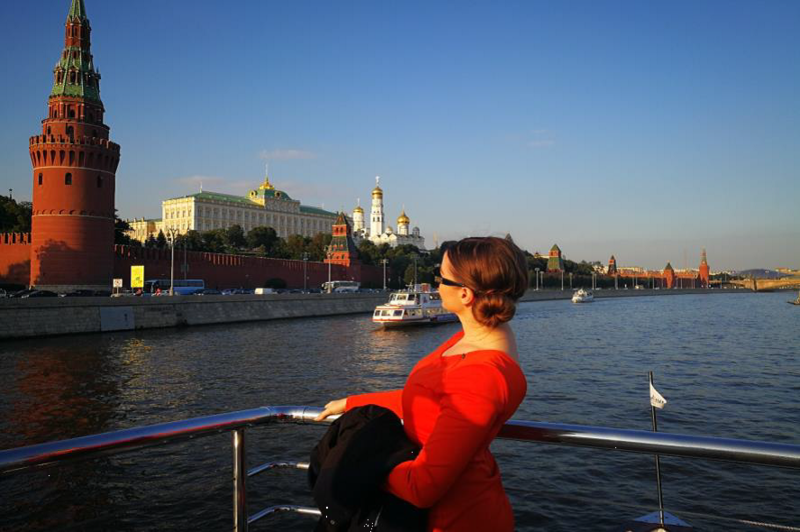 The travel checklist was complete: good research results; documents ready; my Russian skills turned ON; and as an extra bonus my first name which originates from Russia! People interested in learning more about Medical Geology were able to attend pre-conference courses given by experts and leading practitioners in this field. This workshop was very inspiring: my scientific horizons were expanded, and I realised that I can do many things with my research data. 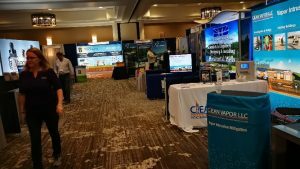 There was a diverse conference program, including topics from large research areas such as Geology, Chemistry, Microbiology, Toxicology, and Policymaking. 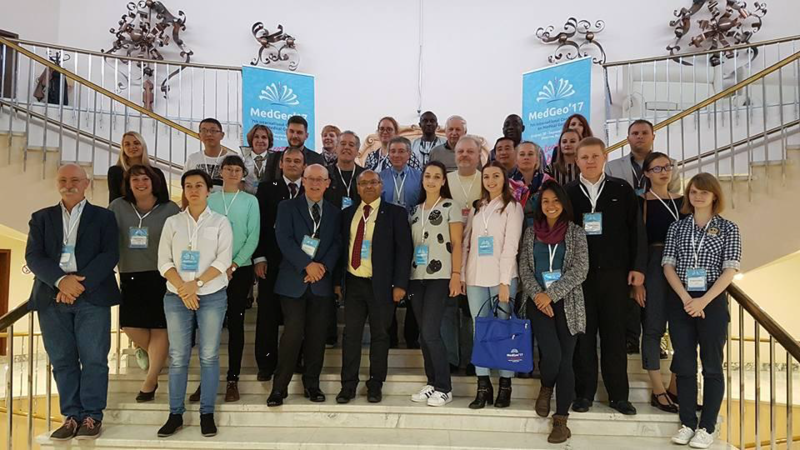 This event gathered scientists, experts, and students from Africa, Asia, Australia, Europe, North America and South America, who shared innovative ideas, experiences, and offered constructive feedback. 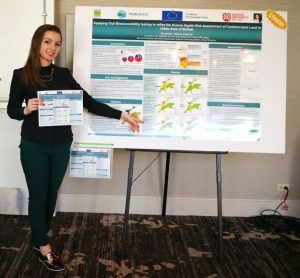 My presentation was scheduled for the 3rd day of the conference, so I had plenty of time to meet and talk to people, to attend different presentations, and to see what other scientists are doing in my research area of human health risk assessment of contaminated land. 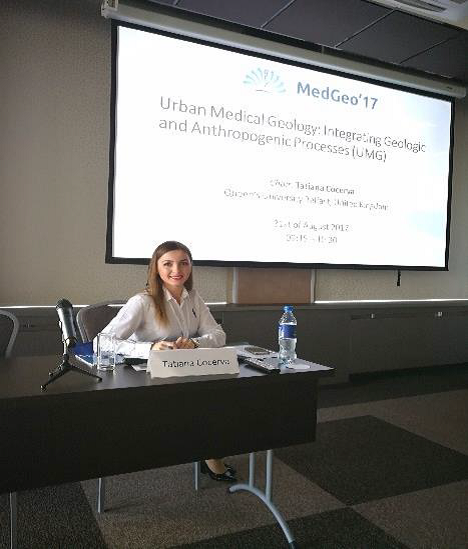 The day before my presentation, I was honoured to be asked if I could chair a session “Urban Medical Geology: Integrating Geologic and Anthropogenic Processes”, a challenge which I accepted with great pleasure. I really enjoyed this experience, and it made me determined to develop these skills for my professional career. My presentation was also included in this session, and switching from chair of the session to presenter was easy. After my presentation, the audience asked some very good questions and the feedback was positive and constructive. 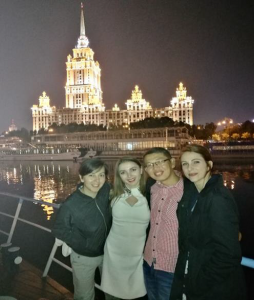 The gala dinner was organised on a cruise on the river Moscow. 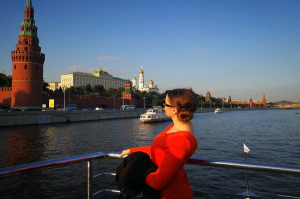 Once we stepped on board the beautiful boat Chizhik-2, we enjoyed magnificent views of the Russian capital. Inside the restaurant there was a lovely atmosphere with good music in the background and delicious food. The emotional toasts made by the organisers of the conference and founders of IMGA turned this evening into a great one. After a week of great talks, inspiring research and interesting posters, the closing ceremony summarised the achievements of the conference, acknowledged the attendance and work of every participant, and presented awards for the best presentations. I was already very pleased by the good experience I had in Moscow, the nice people I met and new friends I had made, but hearing my research work classified as the «Best Oral Presentation Award» represented an unforgettable moment in my life. I am honoured and grateful for the recognition I received for my work and I would like to express my gratitude to our research team for helping me reach this high level. Special thanks go to Dr Mark Cave (British Geological Survey) for his assistance in setting up the Unified BARGE Method and to Dr Rebekka McIlwaine for providing the urban geochemistry data set for Belfast. Overall, The MedGeo’17 Conference was a big success and I would like to thank to the organisers for their hard work invested to offer us, in turn, a memorable experience. I look forward to attending the next MedGeo Conference, which will be held in Guiyang, China, August 12-15, 2019. 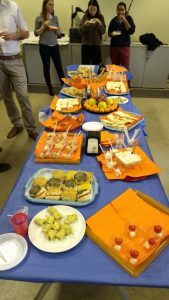 A report from Panos Kirmizakis, who travelled with other REMEDIATE participants to Lisbon to attend a conference/workshop! This month Peter and I had the opportunity to attend ISMET6, a bio-electrochemical meeting and workshop organized by International Society for Microbial Electrochemistry and Technology which took place in Lisbon, Portugal from the 3rd to the 6th of October. I effectively learned in four compressed days what I usually learn in a month. The presenters were able to take the complex and make it simple. I now have a much better understanding of the interactions of microorganisms and electrodes, while finding novel ways to use them for sustainable applications. ISMET6 covered the whole palette of interest of the community including fundamental aspects of biochemistry, microbiology, and the ecology of relevant organisms and communities, as well as improved materials and designs of devices and their industrial applications. 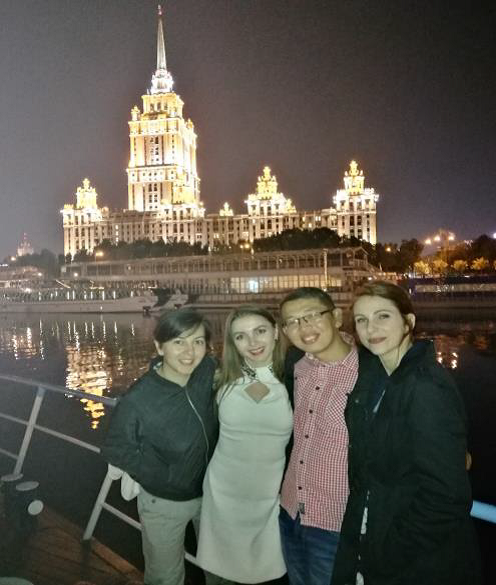 Students had the opportunity to attend a pre-ISMET workshop with teaching sessions delivered by renowned leaders in fundamentals of electrochemical methods, molecular techniques for understanding and engineering electroactive organisms, and electricity driven carbon capture and utilisation. But even at an international workshop like this, fun wouldn’t be missed. 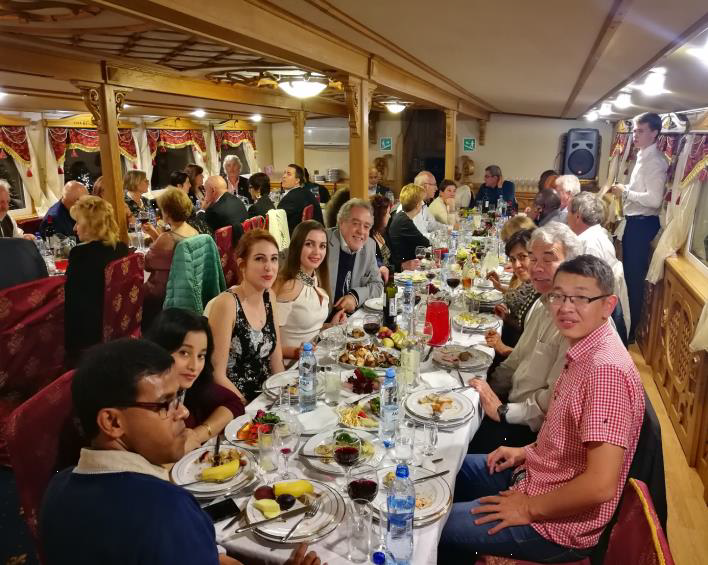 We thank the organizers of the workshop for the social events, the tour of Lisbon and great monuments like the Belem Tower, and the fantastic dinner at Sintra in a friendly atmosphere where we made some new friends. 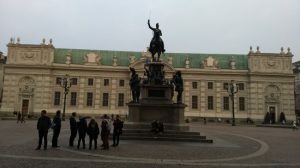 Science Uncovered, which has been held in over 300 European cities for many years, took place on Friday September 29th with great success. 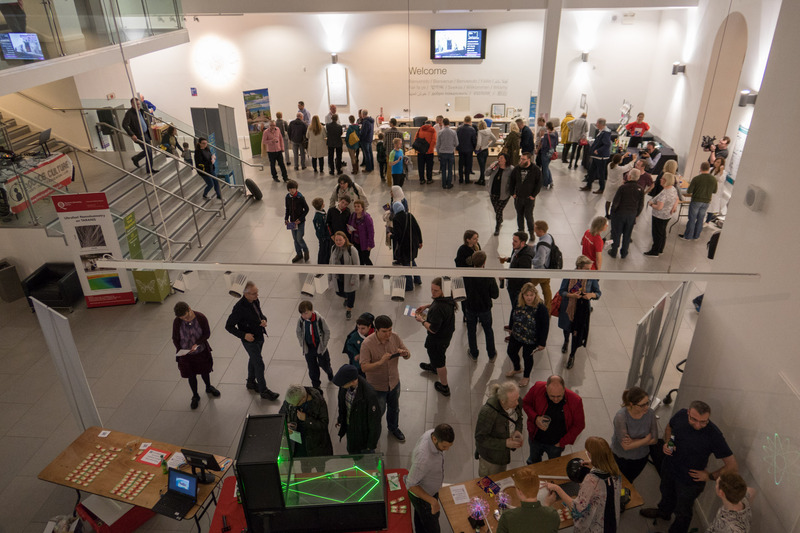 The venue where European Researchers’ Night 2017 took place – Ulster Museum – was flooded with people; it attracted young and old alike. The audience, with particular love, embraced this multidisciplinary scientific event and listened to a variety of scientific talks, met young researchers, and participated dynamically in this fascinating tour of the world of science, research and technology. It turns out that science keeps not only the interest of the public but also of the scientists/researchers themselves. The REMEDIATE team was there with Panagiotis, Tatiana, and Ricardo to welcome the public and speak about “Monitoring & clean up of contaminants using natural microbial batteries”, “Bioaccessibility of heavy metals in urban areas” and “Gene sequencing of contaminated groundwater (Do bugs catch colds?)”. We were asked a number of great questions, and enjoyed talking to everyone who came to our stand, as well as meeting other researchers who were at the event. Hat tip to Sabrina Cipullo!